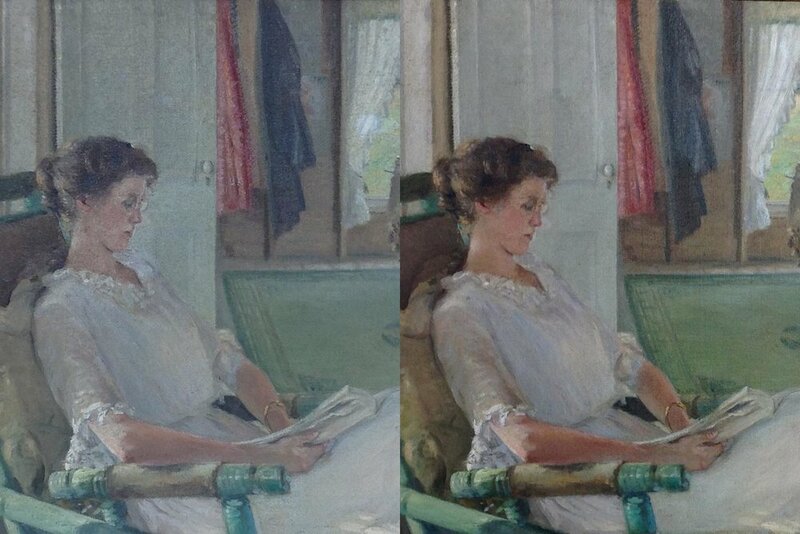 Do you have cherished paintings that have been damaged over time? 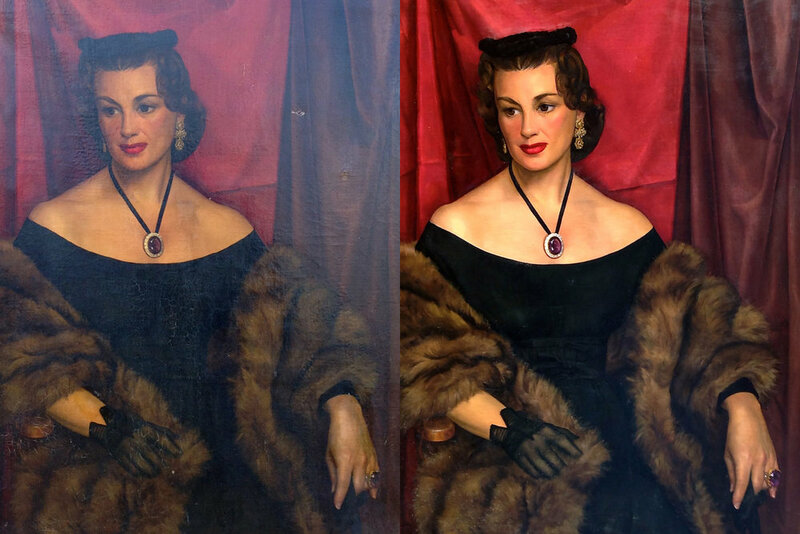 Kansas City based Van Witt Art is acclaimed paint cleaning and restoration conservator. Call Today. This painting had been passed down in the family for decades. After a proper cleaning and replacing paint losses, Miss Beasley is ready to hang around for decades more. 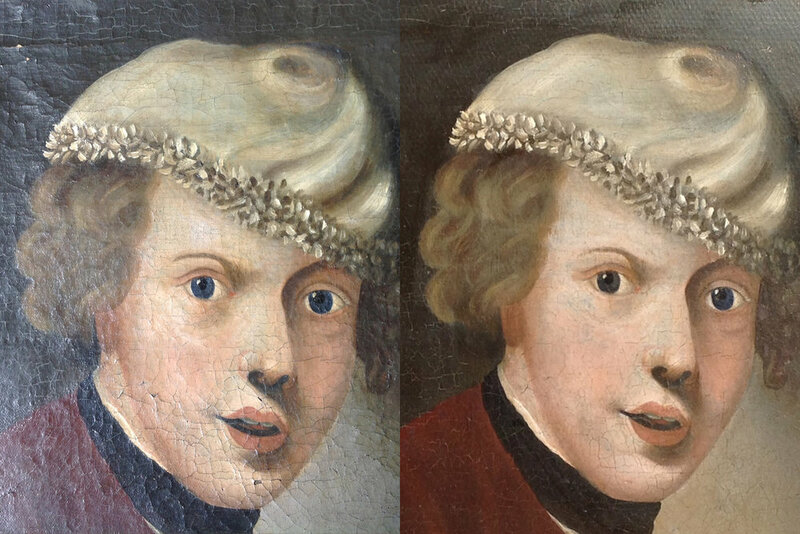 This German painting needed our magic touch to repair the excessive craquelure and paint losses. This valuable painting needed to be unburdened of nicotine and grime, and have its torn sail repaired to retain its value. This precious family heirloom needed to be cleaned and have the flaking paint repaired. Our client, who was a spitting image of her ancestor, was very pleased with the results. This striking portrait had nicotine build up and yellowed varnish. We were able to clean it and repair the damaged spots so Miss Scarlet is ready for a night on the town. 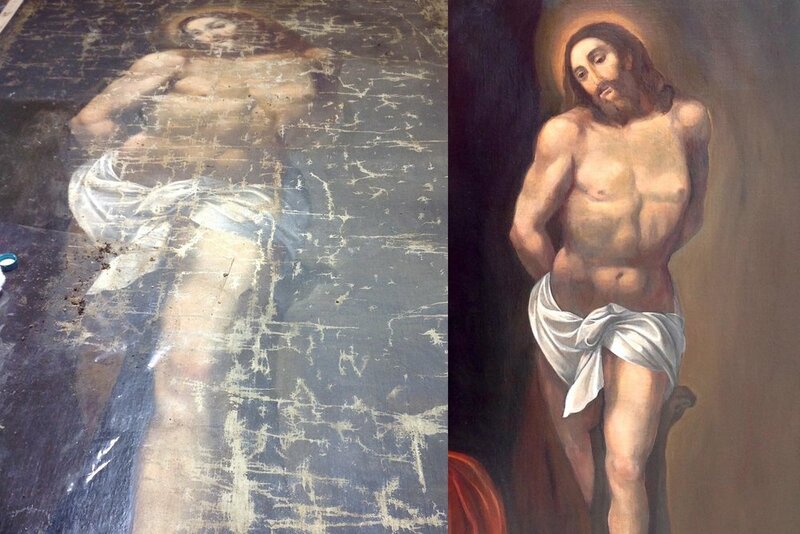 This painting was covered with grime and had flaking paint. We were able to clean it and reverse the damage, so this gentleman back in style. 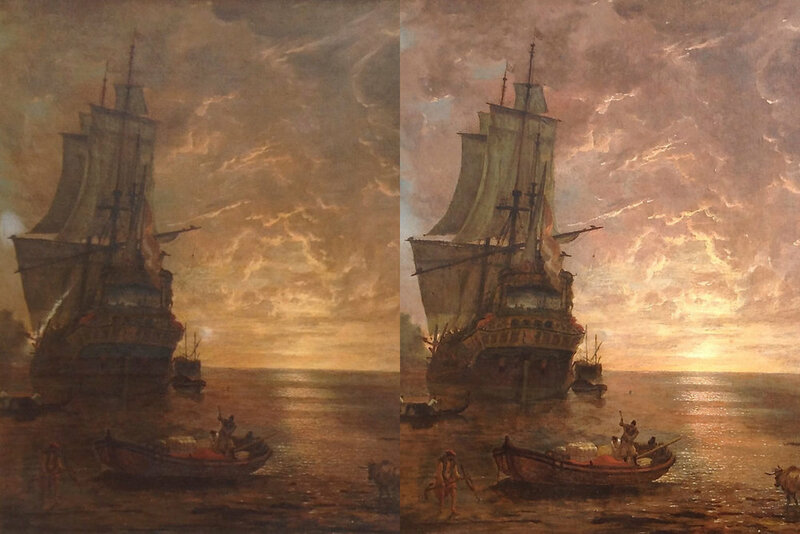 This magnificent painting is sea worthy again after the torn canvas was repaired and the dingy varnish was removed. This young lady's canvas was badly undulated, and a hot date with our heated vacuum table fixed it. 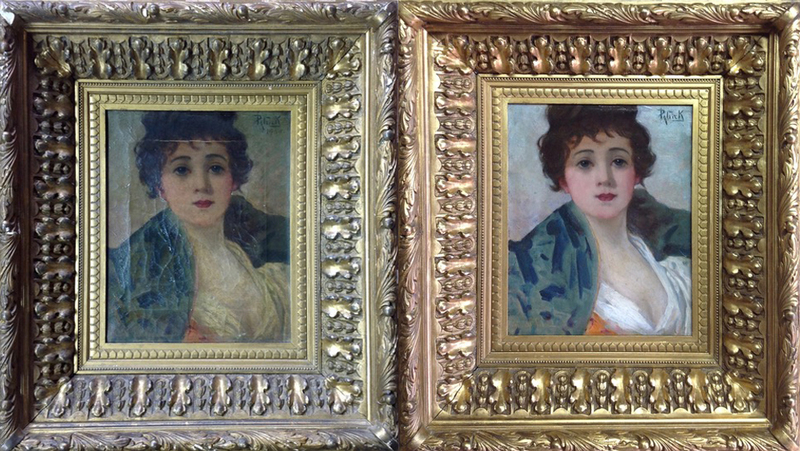 We were able to flatten and repair this wonderful painting, so these three little ones look much happier. Van Witt Fine Art Conservation specializes in expert painting cleaning and restoration services carried out in compliance with the American Institute for Conservation (AIC) Code of Ethics which mandates the use of archival and reversible materials. Founder, Peggy Van Witt is a peer-approved fine art conservator and Professional Associate with the American Institute for Conservation (AIC). She and her team bring three generations of training, knowledge and expertise to every project. An accomplished artist herself, Van Witt’s creative sensibility is an ideal complement to her conservation expertise and experience. Our project scope extends from the restoration of an individual painting to an expansive art collection, and from heirlooms to the works of celebrated artists. 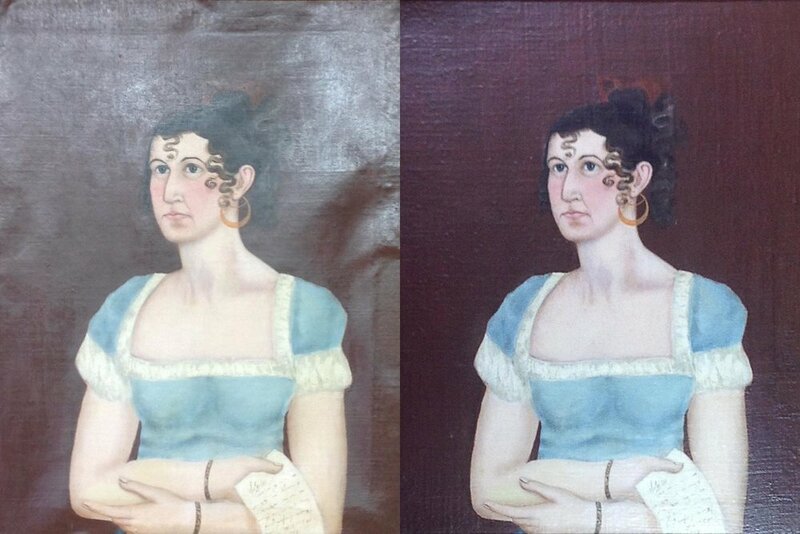 Over time, paintings can collect airborne grime, nicotine, and a wide variety of debris and foreign substances. 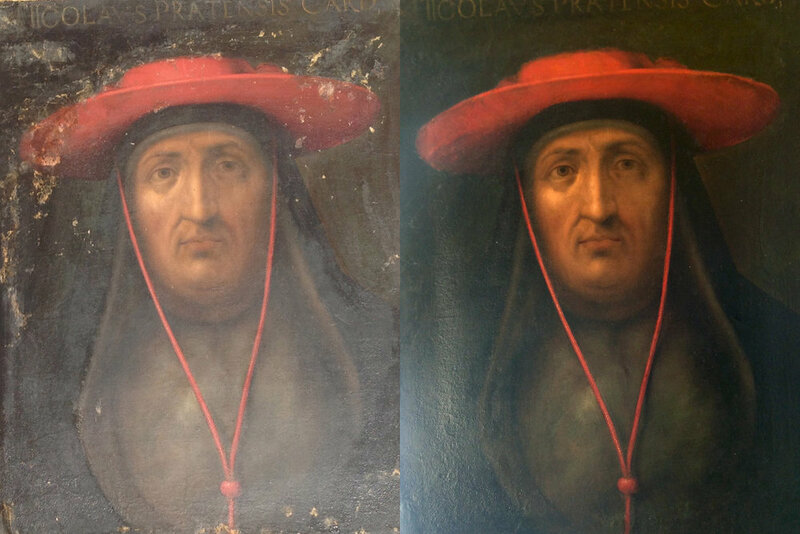 Before Conservation Treatment, multiple layers of soot and yellowing varnish literally obscure the painting, often concealing deeper damage. 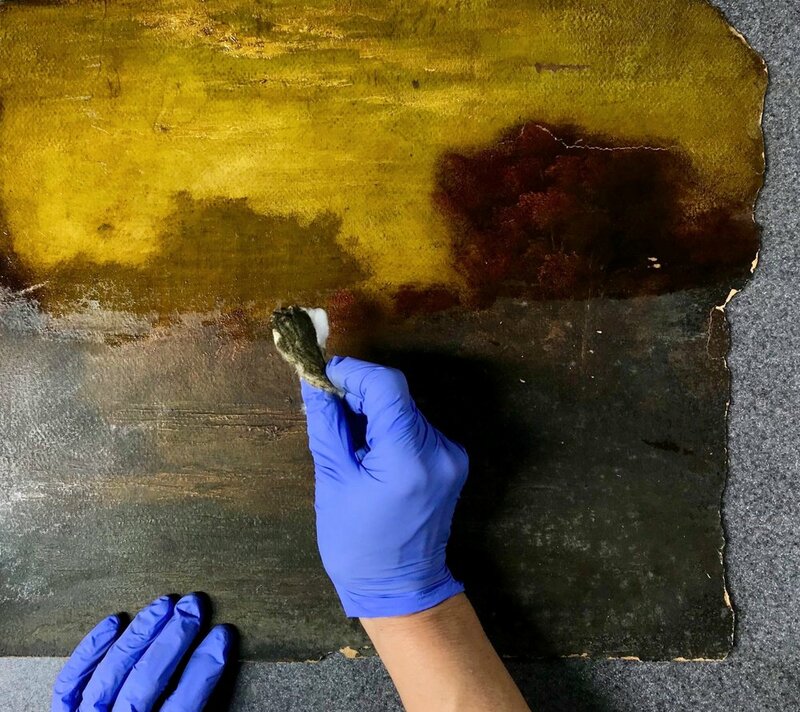 During Conservation Treatment, paintings undergo extensive surface cleaning removing any dirt, airborne grime or nicotine. 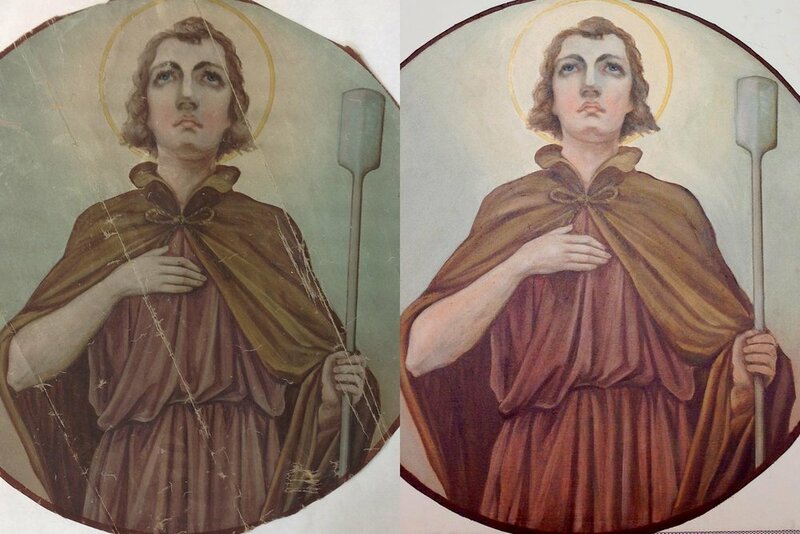 After Treatment, the delicate color nuances are restored, any losses to the ground and paint layer will be looted and filled, and an application of ultraviolet protective varnish will be added as an additional safe guard for the conservation of the surface. At Van Witt Fine Art, we’ve seen it all including spaghetti sauce, insect eggs, crayons and glue. Sometimes the painting is damaged by someone attempting to clean it with soap & water or other common household cleaners. 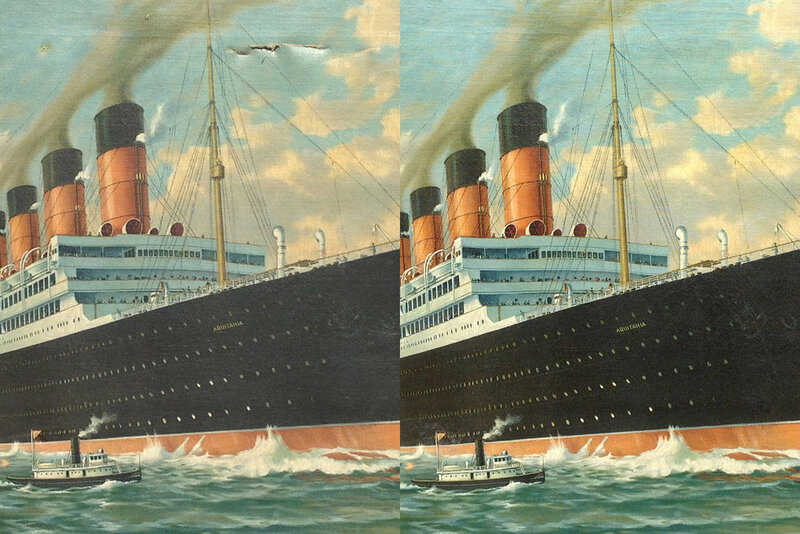 In time varnish tends to yellow and crack, giving the artwork an unsightly, dingy appearance. 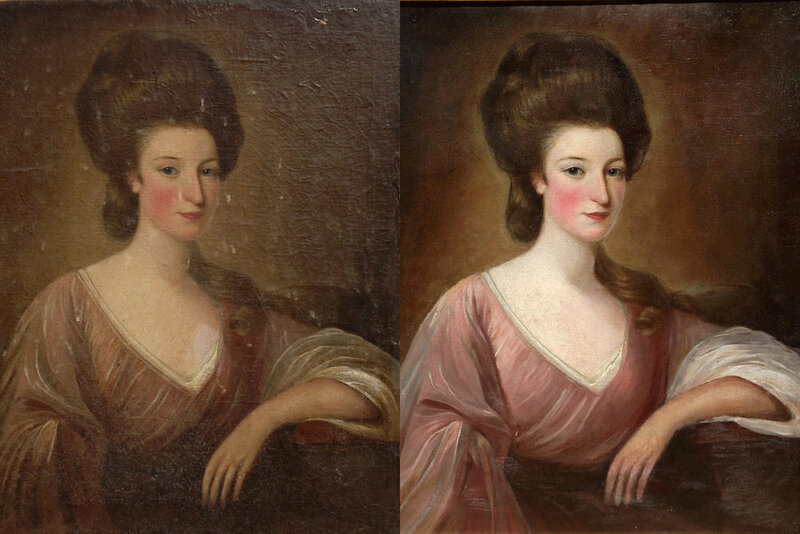 Restoring fine art paintings properly takes skill and expertise. We work with museums and galleries; art collectors and dealers; individual art owners; corporations and organizations; governments and insurance companies. Call to schedule an appointment and speak directly with an Art Conservator. Consultations are made on an appointment only basis.